Get out of the city and come camp with us, or without us. We are so lucky to live in the most beautiful place and are happy to be able to share it with our guests. During your stay, you will have access to 80 acres of open vistas, mature forests, big rolling hills, bright stars, spring fed lakes, ponds, and clear sandy creeks including springs that originate on site, as well as donkeys, longhorns, and chickens. Bonus - collect and enjoy farm fresh eggs straight from the coop! Pick your spot to pitch a tent overlooking a lake, nestled in the woods, or high up on a hill overlooking distant views. 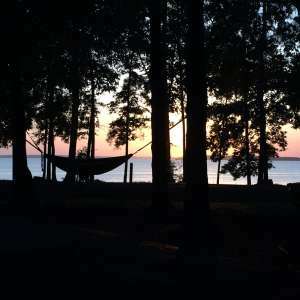 Relax in a hammock, go hiking, canoeing, fishing, swimming, or play some disc golf. Or get your hands dirty and plant a tree, collect seeds, build a wall, or work in the garden with us. We love both creating and visiting beautiful places and sharing in this experience with friends. We hope you enjoy your stay with us, we look forward to hosting you! Please let us know if there is anything we can do to help make your stay here amazing. Fires spread quickly across our open sandy hills, we know from unpleasant experience. So if you decide to burn, do it in turn. Please prepare your site properly before lighting a fire. Create a ring and/or clear flammable grasses. Do not leave fires unattended and please be sure fires are fully put out. Firewood bundles are available for purchase at the main house. We have a free standing outhouse with a composting toliet for guest use. It's pretty nice! We even use it when we're working out back in the garden ;). Outdoor spigots can be found around the main house & outbuildings, behind the outdoor shower, and in the pasture on the north west sector of the property. Spigots in the pastures are highlighted with red wraps. Please ensure that spigots are fully shut off after each use. We have a BBQ pit / Smoker Grill available for guest use. Please bring your own charcoal. It is located behind the main house under the garden shed canopy. Please notify us if you will be using the BBQ pit. Thanks! UPDATE! We’ve finished the shower relocation. Our outdoor shower is now in its cozy new home, tucked in the trees and available again for your use. HOT & Cold water! Or if you’re the adventurous type, feel free to take a dip in the pond for a little refresh! Located behind the main house, near the BBQ pit / Smoker Grill. Yep, its available at the main house if you need it, but reminder, we are in the sticks! so high-speed is not guaranteed. Generally, the speed of the intrawebs out here ranges about 3-10mb download, 1mb upload. Please inquire for password. Please inquire at the main house if you have questions. Compost can be put out behind the main house in the pasture. Recycling bins are the aluminum cans under the carport - there is a separate bin for each - plastic, glass, aluminum/metal, and paper/cardboard. There is a big blue trash bin in front of the shop. Have a question? Send alissa a message! 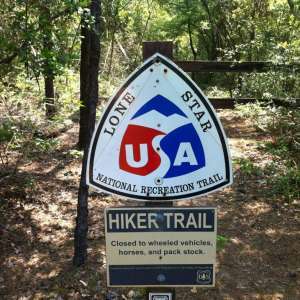 Feel free to bring your bike and ride through the rolling and winding county roads or paved highways of the East Texas Piney Woods & Big Thicket. The dappled sun/shade of the forest and opening vistas are sure to please. Go for it. 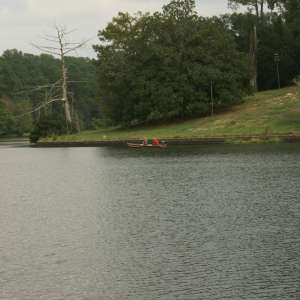 On the big front lake, we've seen big bass and catfish for sure. Yes! 80 acres, feel free to wander and roam up and down rolling hills, through creek bottoms, fern gullies, ravines, and across open pastures, around lakes and under big trees. You are welcome to bring your own horses/gear, and ride away. Corral not provided. Hitching possible at wood fence. 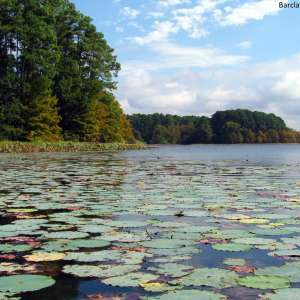 Paddle away on the back glassy pond or the front Lily Pad lake. Bring your own, or borrow one or ours. 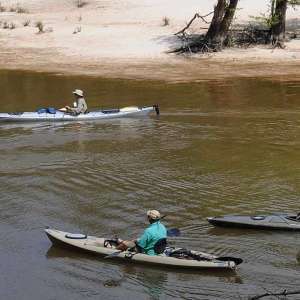 We have canoes, kayaks and life jackets available upon request. Please message prior to your stay for reserving these items. 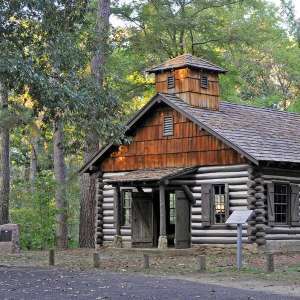 Bring your own and take them out on the county road for a back road tour of the East Texas Piney Woods. 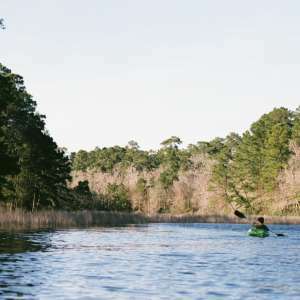 Cross winding creeks, bald cypress swamps, and climb sand-clay hills. We love swimming in the big front lake or sunning along its edge when its hot summer time. The lake is spring fed and cool in the spring time. Bring a floaty or borrow a canoe. Swimming and all water activities are AT YOUR OWN RISK. Water is naturally treated by water lilies and fish are present, it is not chlorinated ;). ALSO, Lake Tejas is just 10 mins away with kiddie slides and picnic shelters. Stand still for a moment and you'll see or hear, depending on the time of the year, the day, the hour...owls, blue birds, meadow larks, cardinals, woodpeckers, wood storks, hawks, geese, cranes, bald eagles, armadillos, moles, squirrels, flying squirrels, deer, rabbits, raccoons, coyote, wild boar, beaver, ducks, snakes, spiders, crawfish, fish, scorpions, ants, and more! Natural features you'll find at Hilleetla in Texas. 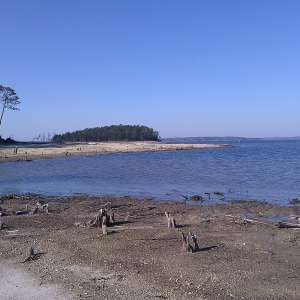 You'll find shifting sandy bottom beaches all along the spring fed creek. Kick off your heels, your sandals, whatever you kick, and put your bare bottoms in this cool, clear, sandy bottomed creek. but beware of those freshly laid sandy bottoms, it'll take you down to your knees. We live in the Piney Woods of Texas, its one of the most biologically diverse places in the US, where the eastern forest meets the west. 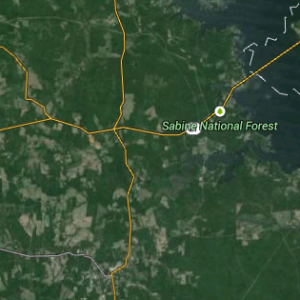 It's a mixed pine and hardwood forests, uplands, swamps, and bottomlands. Most of the US was logged back in the early days, and continues to be, but here you can still expect to find mature 80-120 year old and younger loblolly pines, slash pines, black walnuts, white oaks, swamp chestnut oaks, chalk maples, beech trees, sweet gums, ironwood, hawthorne, sumac, cedar, magnolias, holly, and more. AND we're planting new trees all the time. Let us know if you'd like to partake and get your hands dirty, collect seeds, and plant a tree, or a forest. We've already planted over 400 trees this past year! Large open vistas across rolling prairie with mixed pine and hardwood backdrops. There are 3 really. One creek, being our favorite, is a rare clear, sandy bottom spring fed creek that originates on property just below the back pond and flows into the larger named Belts Creek at the northern edge of our property. In a heavy rain the wetland and smaller feeder channelized creek between becomes a river, flowing from the neighboring property. If you stay here more than an hour you'll see that in this ever shifting landscape, the earth moves, sand floats, and sinks, and pours, and carves out, all about. Really it's the water that moves, that moves the sand all about, creating waves, and dips, beaches. But if you're lucky, you'll find its carved out what one might consider a place for dip, not in the sea, but in a hole, a swimming hole. Just follow the creek to see what you find. Water falls, naturally, although in this case perhaps unnaturally. enjoy the sound of water falling, cascading really, out of an oversized industrial pipe. Its spring water, and its spring fed. 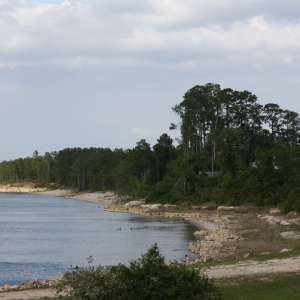 It keeps the lake full, or not too full, but overflow it will as it falls like a water fall back down to the earth and out to the creek, then to another creek, and another creek until it reaches the Neches river, and eventually the Gulf of Mexico. 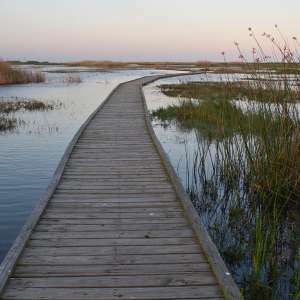 Wetlands - yes! 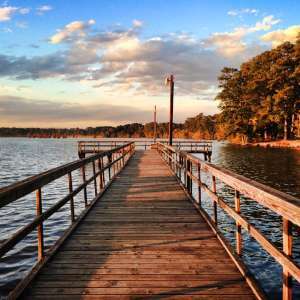 We are so lucky to live in East Texas where the water is abundant. We have naturally fed seeps and springs that create little bogs and wetlands all along the creek bottom area. See beautiful ferns and sedges, crawfish mounds of course, and if you're lucky, you might even spot some pitcher plants! We have a nursery, although most of our plants are at our other farm. We also grow veggies for friends and family to eat! Much of our work right now is in installing infrastructure and restoring the land, planting trees, removing invasives, and cleaning up the understory of the woods. We will be adding to the farming operations as we get more of the preliminary work completed. We have 5 donkeys, 2 longhorns, chickens, guinea hens, ducks, geese and 3 dogs on site. Please, if you open a gate, close it behind you. Our new 1/4 mile entrance drive wraps around the front valley giving you views of the forest, front lake, and open prairie. Car camping allowed alongside the entrance driveway. Hilleetla was the perfect weekend getaway for my boyfriend and myself. Perfectly tucked away in east Texas in the middle of all the pines. The 80 acre farm was just as described and we couldn't have been happier. Alissa was a great host, she had maps printed out of the property and showed us some of the better places to setup our tent at. We chose a spot close to the creek nestled in the woods, and was able to have a fire going right next to our tent and plenty of privacy. They had an outdoor shower and compost toilet available. The fresh farm eggs were an amazing added bonus. We will definitely be back for another visit. Camping here was a fun experience! Alissa was very nice and welcoming upon arrival and walked us through some of the best places to camp on the property. This is a farm with donkeys and longhorns (and some very lovable dogs) but if you're a little apprehensive on interacting with them, there's plenty of gated areas the bigger animals can't get into. We took my Mini Countryman down a hill and got stuck in some mud, so I would probably recommend something that can safely drive through non-graveled terrain. This place offered a fun weekend retreat and I'd definitely recommend it to anyone considering visiting. Beautiful farm with many great campingspots! Alissa and David are great hosts! Wished we could have stayed longer, would definitely recommend! Alissa and her husband let us stay on their gorgeous property while they were away for Thanksgiving Holiday. This campsite exceeded our expectations! Their house sits in the center of the property, leaving the entire east side of the land to pick a campsite. (Front to back) All the animals are in a fenced in area behind the house that stretches out to the West and around to front Westside that accomadates another lake in the front. 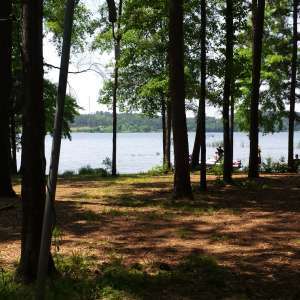 We selected our site by an acre sized lake (towards the back) to appreciate the water and the surrounding trees. Their three dogs were super friendly and Bobbi ended up keeping us the most company in our camp. He kept vigilant watch over us through the night and reminded us of our older dog. So sweet. If you are looking for a great place to escape from city life and reconnect with Mother Nature in peaceful setting, this hits all the notes! Alissa left us firewood and with more to spare up by the house. We would definitely come back and recommend to others. Hope this was helpful to all and happy camping! Thank you again Alissa! We thoroughly enjoyed our stay! I still can't believe how beautiful this site was. Ponderosas, glassy ponds, friendly pups, trickling waterfalls, clear pools, and sandy beaches were just a few of the wonders of this property. First off, the host, Alissa, was so thoughtful as to send a really useful map of the property, detailing things like where the livestock roam, to where the best campsites are. Their three pups were very sweet and ran around with us as we explored the property. The outdoor shower and toilet were nicer than expected, making this an overall exceptional camping trip that I definitely want to go on again! The property is accessible to any vehicle, however a high clearance vehicle would be helpful for accessing the back part of the property, if you want to camp in complete privacy. You could park at the house and walk, but it would be a decently long walk. Staying at Hitleeta was everything we had imagined! It was the perfect weekend getaway with beautiful weather. We pitched our tent in the private spot next to the pond and at night the sky was nice and dark to see the stars. Would recommend this site to anyone looking for a quiet retreat from the city! My first camping experience was amazing. I am so glad i chose Hilleetla as our first choice. Alissa and David was the best host you could ever ask for. she was nice, considerate, and prompt in answering all questions. She made our stay very comfortable. Their dogs are the cutest and will keep you company, which we enjoyed the cuties showing us around. it’s alot to explore and a lot to enjoy. you can camp and an open area, the wood or near the pond. the choice is yours but they are all great choices. you really can’t go wrong. Lots of options on places to camp, including close to a small lake and a creek. Would have loved to have had more time to explore the area, but we were just passing through. Alissa was a very gracious host. We loved having all the animals around the place. We stayed the Easter weekend at Hilleetla. It was more than we could have dreamed and wished for. The ranch is peaceful and beautifulc and Alissa and David are the kindest people you will ever meet, extremely relaxed and very hospitable. We camped next to a pond and had the most laid back weekend ever. The ranch is amazing, you can hike for hours over the terrain. And we spent a lot of time just enjoying the scenery, the animals and the tranquility. 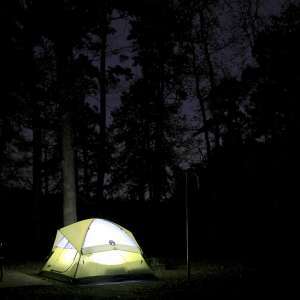 The nights are beautiful watching the stars and listening to the crickets and other animals. Back to nature as it should be, we can more than recommend staying with Alissa and david and we will certainly come back. If you've fully explored and read the information on this listing page and still have questions, you can message alissa here.